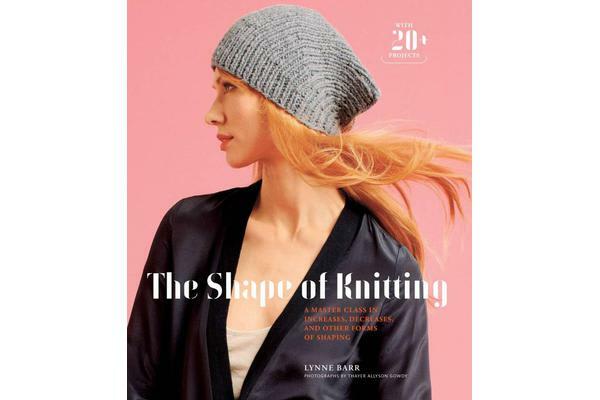 In The Shape of Knitting, Lynne Barr gives readers a fascinating, in depth course on the techniques that can be used to shape flat and dimensional pieces of knitting increases, decreases, short rows, dividing and combining stitches, and adding sections. She both reviews tried and true techniques, explaining the pros, cons and best uses of each one and showcases many new techniques that she has masterminded herself. To illustrate the best uses of these techniques, she includes 24 projects, focusing mainly on small ones with which the techniques can be grasped that can be finished quickly, such as scarves, cowls, hat and mittens.